Today lets look at the benefits of Oriflame Wellness Swedish Beauty Complex Plus. Oriflame Wellness Swedish Beauty Complex Plus is a unique anti-ageing and performance enhancing product from Oriflame which helps you become even more beautiful! Oriflame Wellness Swedish Beauty Complex Plus helps us in reducing oxidation and enhancing skin moisture and elasticity. Oriflame Wellness Swedish Beauty Complex Plus also helps us fight UV rays and to keeps wrinkles at arms length while improving your overall endurance and strength. 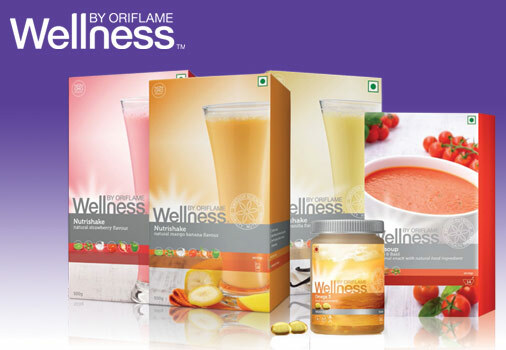 The All-new Oriflame Wellness Swedish Beauty Complex Plus by Oriflame India is the answer to all your aging issues. It is an amalgamation of antioxidants that promise to protect every cell of the human body against free-radical damage. This Swedish Beauty complex is an advanced amalgamation of antioxidants that promise to protect every cell of the body against free-radical damage. An enhanced immune response, which helps in improving skin and evolved endurance are just some benefits of this Swedish Beauty complex plus. The key ingredient in Oriflame Wellness Swedish Beauty Complex Plus is a combination of antioxidants derived from Astaxanthin – an algae found in the Swedish archipelago – and blueberries found in the Swedish forests. Astaxanthin contained in Oriflame Beauty Complex Plus is harvested from the deep red microalgae Haematococcus pluvialis. It is the best source of Astaxanthin in the world. Astaxanthin is a powerful antioxidant produced by algae in order to survive in harsh conditions so it can help us in surviving in highly polluted environment especially in the city. Every health conscious individual must consume 1 tablet of Oriflame Swedish Beauty Complex Plus daily after a good breakfast or after lunch. Oriflame gives you some of the best anti wrinkle creams India as well as some of the best food supplements that you can get. Improved skin moisture and elasticity. It Reduces the daily oxidative damage that occurs inside your body. Reduced UV damage and wrinkles. It helps to reduce inflammation and muscle soreness after exercise. It gives you less tired eyes. It helps in improving skin condition. Overall Increase in well being. Regular consumption of antioxidants has become imperative, especially in an environment like India's which is fraught with radiations from the sun and pollutants, which speed up the oxidation process inside a human body.
. By bringing together some of the most potent antioxidants known to man, Oriflame's Wellness Swedish Beauty Complex Plus helps to maintain healthier skin and stronger body. This Oriflame product contains a blend of antioxidants derived from algae of the Swedish blueberries and archipelago which found in Swedish forests. Astaxanthin is known as one of the most powerful fat-soluble antioxidants known to mankind, and it forms a key component of Oriflame Wellness Swedish Beauty Complex Plus. How Does Swedish Beauty Complex Plus work? As we all know an aerobic organism, depend on oxygen for existence. Even though oxygen is absolutely essential for life, it is also found in a number of harmful by-products referred to as reactive oxygen species (ROS). Astaxanthin demonstrates a superior ability for quenching singlet oxygen which is one of the most damaging ROS. For thousands of years, astaxanthin has been part of the human diet. Go and try this Oriflame Wellness Swedish Beauty Complex Plus and then share your experience with us. I hope this article helped you to understand the benefits of the product. This is really best product. There are so many benefits. It is amazing product. How much does it cost to join Oriflame ? Can you mail me back at hello@alubhujia.com ?